The Geelong Advertiser’s front page yesterday really summed up the buying sentiment in Geelong this past weekend. “Fast and Furious”was the headline with an accompanying photo of our auctioneer Shaun Carroll and in particular reference to our auction at Unit 2/6 Cortland Drive, Highton. 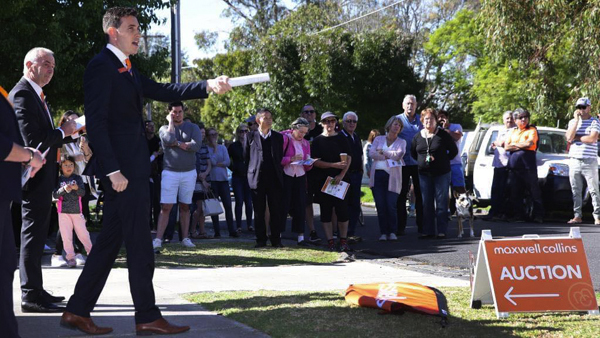 6 bidders competed to secure this 3 bedroom/double garage brick veneer unit with more than 50 bids pushing up the price until it sold under the hammer for $485,000, a whopping $80,000 over the vendor’s reserve. As you could imagine, our vendor and successful purchaser were the feel good stories of the day, but it is worth remembering that there are 5 unsucessful bidders looking for a similar property who are cashed up and ready to buy now under auction conditions. The Geelong auction clearance rate over the weekend was 91% (including our auction at 77 Ernest Street, Bell Post Hill), defying national and Melbourne trends which have seen a decline in property values and clearance rates. It is great to know that our vibrant city is leading the way with a buoyant property market and high consumer confidence.